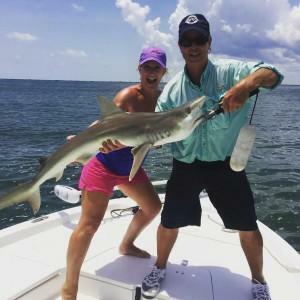 Charleston and Folly Beach fishing charters have had plenty of activity to keep our rods bent the past few weeks. 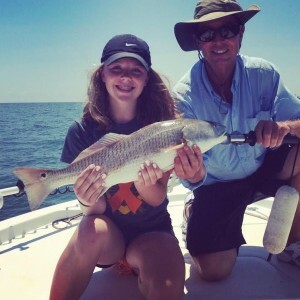 Deep sea fishing trips have been targeting big redfish and sharks in waters from 1 to 10 miles out. 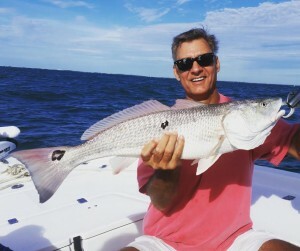 We also have been targeting Mackerel, Bluefish, Black Sea Bass and a variety of other species. 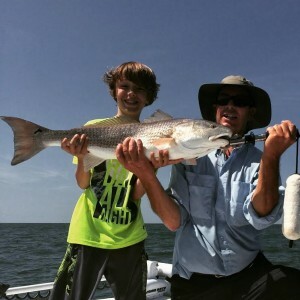 Inshore Fishing Charters have been locating flounder and trout primarily but the good news is we have had a variety of fish to target in all tides and weather. 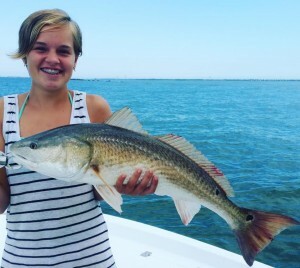 The influx of shrimp, menhaden and finger mullet have all predators looking for the opportunity to feed and we use live and fresh caught bait on most of our trips. 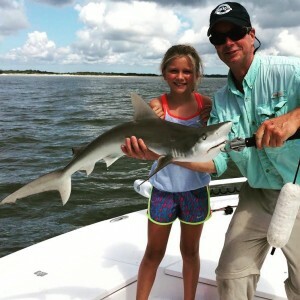 No matter what we choose to do we have been able to keep most anglers busy during the length of the fishing charter. Keeping an open mind and being able to adjust to current conditions is what will keep you busy this time of year. 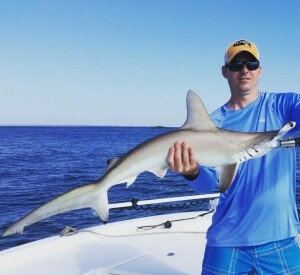 Since this is a tidal fishery the time of day you fish will not likely impact your success much, so don’t be too concerned about fishing the morning rather than an afternoon slot. When you are ready to book the quickest way to reserve your date and time is to go to my online booking calendar. However you have several options and if you wish to discuss what type of trip best suits you feel free to get in touch. 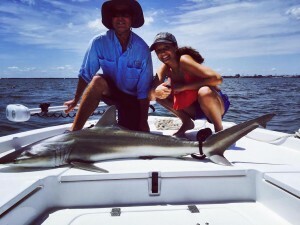 So, book your fishing charter online, text, email or call me directly if you have questions or want to book a trip. I look forward to seeing you on deck soon! 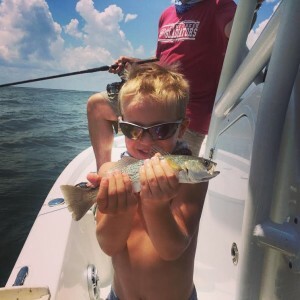 starting them out young and making sure they catch fish! 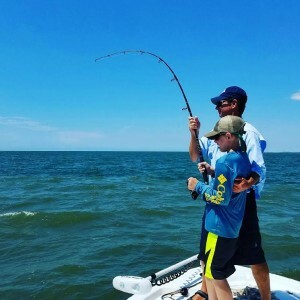 Helping a young angler land his first big fish!